[P] Psybeam: 30 damage. Your opponent’s Active Pokémon is now Confused. [P][C][C] Psychic: 60+ damage. This attack does 30 more damage times the number of Energy attached to your opponent’s Active Pokémon. Sorry I don't know much about the rules or how the TCG works, but I really love the artwork on the cards! When I used to collect the cards, that was the only reason I would get them... ^_^"
But for this one I like it for the most part. I'm a fan of the dynamic pose and the full-card artwork, but I don't like the 3D model-looking art as much. I guess it's just me and how I personally favor had drawn art myself, but I know one of my favorite part of the older series of cards was the different artists listed and how you could distinguish little differences in their styles! 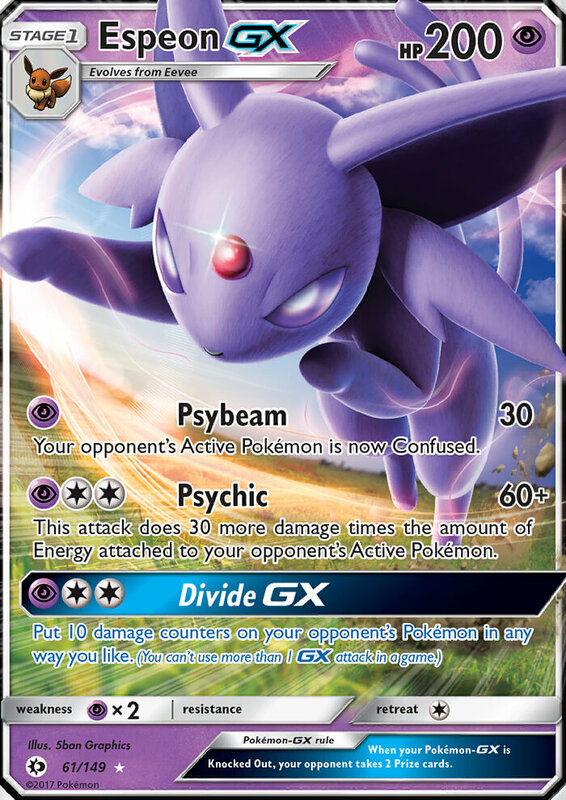 This card is able to deal a crap ton of dmg, depending which Pokemon is on the field, with Psychic. It has enough hp to take a hit the isn't super effective as well. Not the best GX attack but it can snipe a dmgd target if needed so it isn't completely useless.